The countdown to Ecobuild 2014 (www.ecobuild.co.uk) has begun – the world’s biggest event for sustainable design, construction and the built environment which takes place 4th to 6th March 2014 at London’s ExCeL. 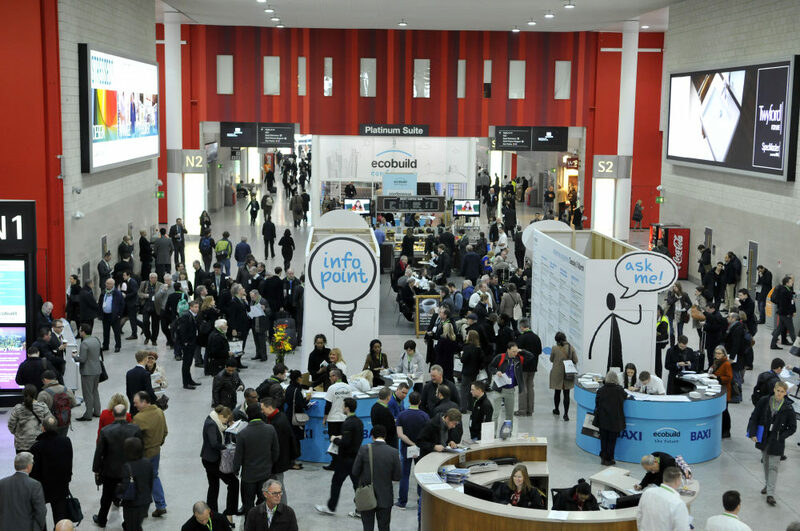 Perfect for eco-conscious home designers and architects or those seeking some fresh initiatives, Ecobuild 2014 will bring together thousands of green products as well as expert education and advice under one roof. Ecobuild will feature an unrivalled information programme, attracting over 600 speakers. At the heart of the programme is debate, learning and information exchange led by internationally renowned academics, ministers, industry leaders and celebrity speakers. All speakers will now appear on the show floor and the 2014 Ecobuild experience will be easier to navigate than ever before, thanks to the introduction of three core areas to the event, each with its own key themes and seminar streams. Sustainable Design and Construction will focus on the latest design ideas, future construction materials, lighting and technical solutions to sustainable construction challenges. New and existing innovations, such as the role of Building Information Modelling (BIM) will be a central feature of the 2014 show. The Energy zone is set to host the most comprehensive showcase of sustainable building products in the world and will also include a range of features on renewable energy, resource management and energy efficiency. Connecting Future Cities will incorporate a range of topics from biodiversity and greening cities, water and designing out waste, technology and transport – all of which are crucial to creating a sustainable future for an ever changing global population. • Meet current and potential investors and ensure you’re getting the best deal.